How long will you have to work before you can slip into your leisurely lifestyle of retirement? Whether you think you have plenty of time to save for retirement or not, starting now is always the best course of action. Every day you delay represents a missed opportunity for your money to grow. Don't make the mistake of waiting until you can "afford it" to start planning for retirement. Start now. Identifying your retirement needs is the first step to help you design a financial strategy that will make the assets you've worked hard to build keep working for you. Second, you have to determine how much money it will take to make your retirement vision become a reality. Thirdly, you must monitor and adjust your portfolio on a regular basis. A CERTIFIED FINANCIAL PLANNER™ professional, specializes in doing just that. 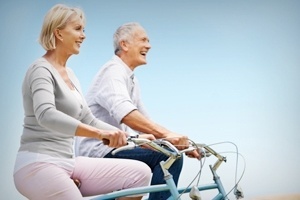 Come see us and we will help you determine the path to your retirement dream. Having goals for retirement always out-performs worrying about it.